oWatchdog is an unique program that continuously checks network devices like routers, servers, websites and oPlc (Mac Application). 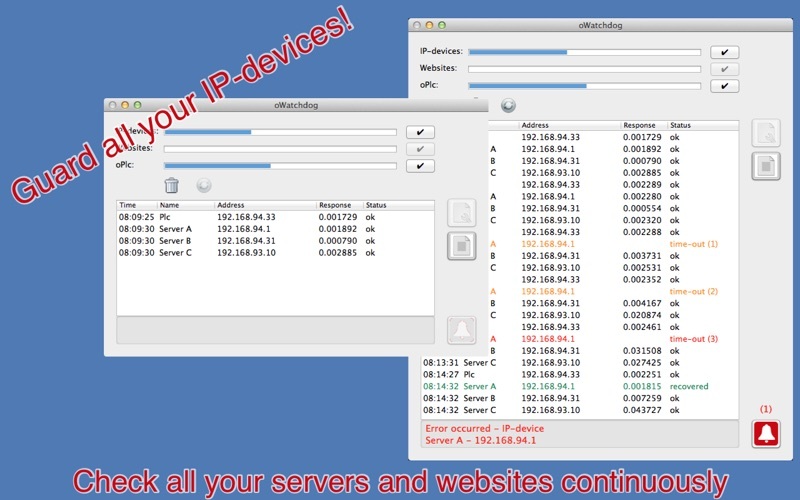 IP-devices can be checked using a ping request, websites by using an URL request and oPlc by using special commands. The interval and response timeout can be set as well as the number of retries that are allowed before activating an alarm. Add logfile (tab separated values). Other Apps by Opticom Engineering B.V.